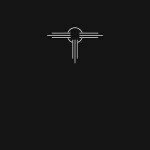 Genre/Influences: Minimal-electro, electro-pop, experimental, cold-wave. Background/Info: Spatial Relation is an American duo set up by Jacob Schoenly and Lissette Schoenly. I honestly never heard of the band before although I noticed that Lissette Schoenly did some guest vocals on a song of Factice Factory. “Beyond The Zero” is the debut album of the band, which is released on vinyl format and reveals 8 songs. Content: The influences running through this work clearly evoke 80s electro experiments. The most experimental –and exciting side, reminds me of legendary formations like Chris & Cosey and Psychic TV, but globally speaking the work is more into pop exploration. The band clearly shows a fascination for analogue gear and that’s precisely what brings this 80s touch to life. They perfectly emulate the 80s spirit revealing multiple dark and experimental sound treatments. Lissette Schoenly’s are still very 80s like. She has this typical emotionless way of singing that injects a sterile aspect to the work. + + + : I like the minimalism of the work and the global production made of cold, analogue sound treatments. The eclectic approach mixing multiple influences is absolutely genius. – – – : I’m missing one potential hit, but you’ll get several cool songs instead. Conclusion: The analog approach remains a unique experience in sound. 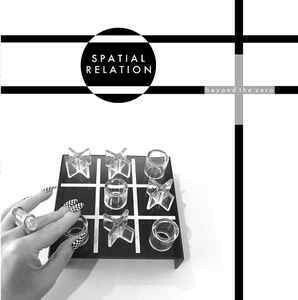 Spatial Relation reactivates 80s electro influences with style! Best songs: “Diminished Sight”, “Reference Object”, “Contour Lines”.